Build the Private Practice of Your Dreams! Warning! If you do not do this – you may burn yourself right out of business! One common "problem" as a business owner is that you have the potential to be "on" at all times. Since you are obviously in charge of many to-do's and tasks for your business, YOU are the one that needs to get the stuff done. The world around you doesn't stop so you might feel like you can't stop … [Read more...] about Warning! If you do not do this – you may burn yourself right out of business! Get at Least One New Client for Next Week! I just got off of my Pursuing Private Practice Masterclass group coaching call and felt so excited to write this! These group calls inspire ME just as much as I hope they inspire all of my students. 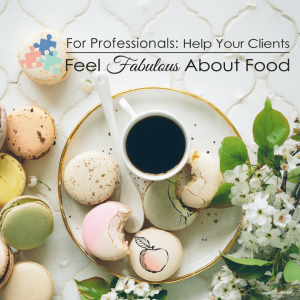 We talked about so many exciting topics but one particular topic was my favorite--> how to get … [Read more...] about Get at Least One New Client for Next Week! Don’t Make these Common Mistakes! Could these 3 business lessons help you with your Private Practice? Are you looking for ways to get more clients into your practice?